Does the Facial Flex Face Exerciser Work? The facial-flex face exerciser is a small cosmetic device that you place in your mouth to firm up and tone the muscles of the face. It works on the principle of resistance exercise, whereby the greater the resistance a muscle is exposed to the stronger and bigger it will become. The good thing about the facial-flex face exerciser, is that unlike many other cosmetic devices, it actually does have some scientific research to back up the claims it makes (Here, Here and Here pdf downloads). Studies carried out on women who have used the device, for example, have found that regular daily usage lead to an increase in the strength of the facial muscles, an increase in skin elasticity and an increase in blood circulation to the face. However, these studies were carried out on relatively small sample sizes, and so more studies need to be done before anything can be said with certainty. 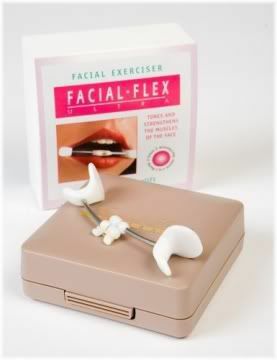 The facial flex face exerciser exercises a variety of muscles in the face and neck. 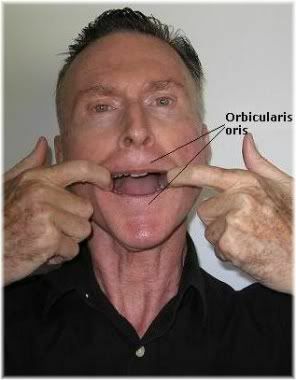 As you can see in the picture above, using the facial-flex face exerciser exercises the muscles in your mouth and lip area (orbicularis oris), the muscles in your cheeks (masseter & buccinator), the muscles in your chin (depressor labii inferioris, depressor anguli oris & mentalis) and the muscles in your neck (platysma). So you do get quite a good facial workout from using this device. The muscles of the face support the skin that sits on top of it, and so they also play a role in determining how your face looks. Muscles that become weak due to a lack of exercise can eventually droop and cause the skin to sag, and then later develop wrinkles as a result of declining collagen and elastin levels. However, by exercising your facial muscles, which are shown in the picture below, you can help to prevent sagging from happening by making your muscles stronger and also make your skin tighter by stimulating collagen and elastin production. 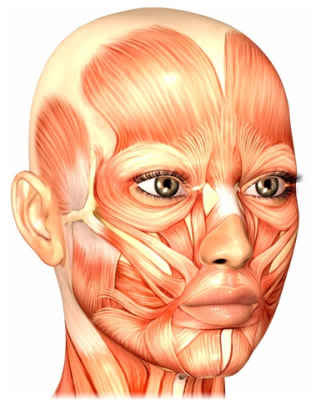 The muscles of the face support the skin and allow you to make facial expressions. Many people use facial exercises as a natural anti-aging treatment along with their regular skin care routine, but not everyone is convinced that face exercises work. Some people claim that face exercises can damage the muscles of the face and actually cause wrinkles, but these people usually are trying to promote surgery or some other product. Those who do face exercises on a regular basis, whether with the facial-flex face exerciser or with their hands, generally do report very good results. Typically, you can expect to see an improved definition or contour of your face, reduced sagging of the skin and possibly even a reduction in the visibility of fine lines and wrinkles. Face exercises are typically carried out alongside your regular beauty routine. But, in order to get such results, one needs to do face exercises every day or every other day for at least a few months before they will start to notice any changes to their face. As a result, a lot of people get bored doing facial exercises and give up after a few weeks complaining that it wasn’t doing anything for them. What About the Facial-Flex Face Exerciser? Does the facial-flex face exerciser work? In a word, yes. It has been clinically proven to be effective as a facial exerciser, and most people who have used the device report very good results with it. Some have even gone so far as to call it a natural face lift product. Consistent use will help to strengthen and tone the muscles of the face, neck and chin helping to improve the contours of your face and keep your face looking younger for longer. It may also be beneficial for helping to reduce the appearance of fine lines and wrinkles around the mouth area, in addition to improving the shape of the mouth and the fullness of the lips. This device originally started out as a medical device designed to help people recover faster from facial burns and surgery, so it is also designed to be easy to use by people of all ages. You simply put the device in your mouth and squeeze it for about two minutes twice a day. It’s basically like a thigh master for your mouth. The facial flex face exerciser is like a thigh master for the mouth. O.k, so now that you have heard about the good things that this device can offer, lets look at some of the downsides or disadvantages of the facial-flex face exerciser. Whilst there is little doubt that the facial-flex face exerciser works, the benefits that it offers don’t come cheap. To buy this device, you are looking at somewhere in the region of $50-$70, which does seem very expensive for a small piece of plastic that you stick in your mouth. You can find alternatives on eBay for about $10-$20 but these tend not to be very reliable and break easily, so there is no point in wasting your money on them. Avoid cheap imitations made from China as they don’t last for very long. In addition to the cost of the actual device, you also have to buy replacement elastic bands. This is because the way the facial-flex exerciser creates the resistance that your mouth muscles work against, is with a very small elastic band. But eventually, these will either lose their elasticity or snap, and so they need to be replaced every few months. A pack of elastic bands is about $12-$15 and they come in different strengths. This is needed because eventually your muscles will get used to the strength of a particular band. When that happens, you need to use a stronger elastic band in order to continue getting results past what you have already got. This is similar to how weight lifters need to lift heavier weights over time to increase the strength and size of their muscles. The elastic bands come in different strengths to provide differing levels of resistance. It’s also worth noting that to maintain the results you get, you will need to continue using the facial-flex exerciser every day otherwise your facial muscles will eventually weaken and return back to normal. A much cheaper alternative to using the facial-flex exerciser is to use your fingers instead. If you “fish-hook” the corners of your mouth and pull slightly, you can close your mouth working against the resistance created by your fingers. By doing this, you will be exercising almost the same muscles on your face completely for free, although you will have to make sure that your hands are clean before you stick them in your mouth. Finally, there are limits as to what facial exercises can achieve. Sure, they may help to strengthen the muscles of your face, but this won’t reverse years worth of aging. So whilst you may be able to reduce the appearance of minor skin sagging and some wrinkles, if you have a lot of sagging skin or very deep wrinkles, you will probably be better off having a face lift for your sagging skin and/or injectable dermal fillers for your wrinkles. There is a limit to what you can achieve without surgery. But providing that you are still relatively young and/or have looked after your facial skin well, then face exercises certainly are something worth doing if you want to look young and maintain a youthful appearance for as long as you can. The bottom line is that this product works and has been clinically proven to give positive results. So at least if you buy this product you will know that you’re getting something worthwhile, rather than a useless product backed by good marketing but which doesn’t actually do anything for you. Many people do get good results using this product, but those results will only come if you are able to discipline yourself to use the facial-flex exerciser on a regular basis. If you make it part of your everyday anti-aging skin care routine though, using it will soon become a habit and so you won’t have to worry about forgetting to do your facial exercises. Yes, the device does work, but it’s expensive and you can get similar results for free with your hands. But with that said, this device does not come cheap. 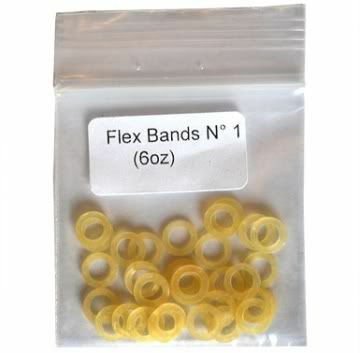 Apart from the initial cost, you also have to factor in a lifetimes supply of elastic bands. Although, considering the fact that you probably already spend money every month on cosmetics, moisturizers and other skin care products, this small added expense is probably worth it for the benefits you get. But if the cost is too much, just use your fingers hooked inside your mouth as previously described. You will get almost as good of a workout, it won’t cost you anything, and you won’t have to worry about buying expensive replacement parts. When exercising any region of the face it’s a good idea to moisturize your skin beforehand. Lastly, although the facial-flex face exerciser will give you good results, don’t expect miracles. It will help to improve your appearance, but it won’t turn you into a supermodel overnight. As for it being a natural face lift, that is probably a bit of an exaggeration, as it won’t make you look 10-15 years younger like a proper surgical face lift would. 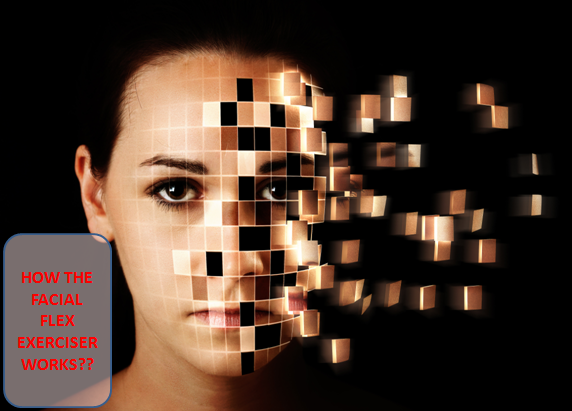 What About Electric Face Exercisers? Electric face exercisers, sometimes called electric face toners, use a light electrical current to contract the muscles of the face and neck. These contractions cause the muscles to tighten just like how they would normally contract when you move them. So instead of having to move the muscles of the face by yourself, you can get an electrical device to move them for you. Apart from the convenience factor, the main advantage of this is that there is less risk of you wrinkling your skin as you won’t be moving it to move your muscles. Electric facial exercisers come in two versions. The first type are designed for personal use to be used at home by you on your own. The second type are designed for professional use to be used in a salon or beauty parlor by a trained member of staff. Home face exercisers can be picked up from around $100 to $200+, while salon face exercise treatments can range between $50 to $100+ per session. Many dermatologists and skin care professionals agree that facial exercisers can help make the face look younger and reduce the appearance of wrinkles. Some even say that electric face exercisers can be an effective way to get a non surgical face lift. Electric muscle toners use a mild electric current to stimulate the contraction and relaxation action of muscles. However, there are also dermatologists that disagree and say that these claims are unfounded and that there is no evidence to support facial exercises working as a non surgical face lift. Although, it should be noted that electric muscle stimulation (EMS) has been shown to be effective at improving muscle tone. So this is quite a hotly debated subject in the world of anti-aging skin care, and you will find people on both sides strongly arguing in favor or against the use and validity of face exercises whether they are carried out manually or mechanically. If you are thinking of exercising your face with an electrical device, below you will find listed some of the benefits and disadvantages of such devices to help you make up your mind. • Can provide a non surgical face lift with repeated use. • Are safe to use and relatively pain-free once you get used to the facial muscle stimulation. • Can help to reduce double chins, forehead furrows, crow’s-feet, sagging jaw line and wrinkles under the eyes. • Used by some celebrities to keep their face looking young. • Cost is cheap compared to a surgical face lift. 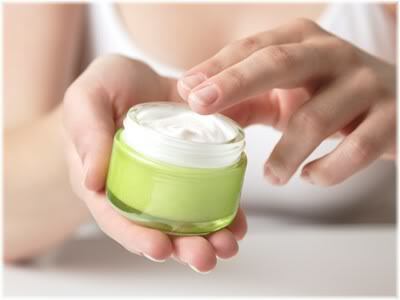 • Use and effectiveness is supported by many dermatologists and skin care professionals. • Very effective at helping to firm sagging skin and reduce the appearance of fine lines and wrinkles. • Only a few facial exercisers have been approved by the FDA. This means that there may be many products on the market which don’t actually work. • Some people find electrical muscle stimulation painful and their face hurts afterwards. • Can create broken capillaries on the surface of the skin if overused and so may not be suitable for rosacea skin. 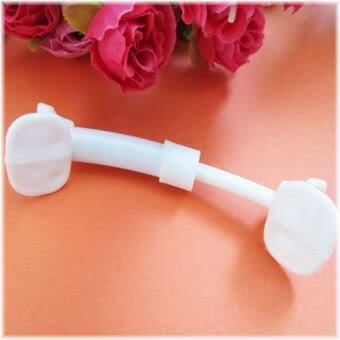 • You need to use the facial exerciser for 2-3 times a week consistently if you are to maintain results. • Is not effective at reversing a loose or sagging chin. • Most devices require you to apply a conductive gel to skin before beginning treatment. This can be messy and is an added expense. Should You Buy an Electric Face Exerciser? Electrical muscle stimulation is not a new technology and you can get other devices which are designed to tone up your stomach or arm muscles. Electrical muscle stimulation does work, and there are studies which show that it is effective at strengthening the muscles. If you are disciplined enough to use it on a regular basis, then you will probably get good results. But if you don’t use it consistently, then your results will be mediocre at best. If you are going to purchase an electric face exerciser then make sure that you get one with a 30 day money back guarantee. This way you can test the device, see if you are comfortable using it, and get an idea as to what sort of results you could get from it. If you don’t like it, you can always return it and get your money back.